When it comes to love well I for one is not the master of it I can honestly highlight. Yet it brings a level of the feeling of being complete for me when I find it. A lot of my closet friends to family can say a lot when I am in that moment of being complete or should I say in love. Questioning the thought of being in love and finding someone who can read you the real reason behind you’re facial, puppy-eyed looks and body language makes you feel whole and understood. Boys, gentlemen there isn't a moment where I regret (many other Ladies like myself) the moment you've found the moment: A lover, your best friend, soul mate. At the perspective of reality, I think everyone can agree is that being in love isn't laid out like the classic romantic films including, the way Mr Walt Disney portrayed through his enhancing magically stories for his princesses and princes. Yet that feeling of being in love is magical as well as being soothing for the soul. When the loss of someone special happens I honestly say it makes you feel lost. My last moment of a half a year of being in the moment of love came to a halt since the relationship itself was losing its touches or should I say stuck in how to progress after that six-month milestone. (As some of my closet peers would be screaming down the phone at me, for not publishing the real reason and their views on the matter.) I am going to be respectful towards, him by saying that I am going to skip the real reason. Even though I’m going to have a deal with the moment I highlighted above by my peers. I would just like to say that the ending of that chapter of love found myself crying, very angry about the reason and I was in the arms of one of my closet friends. On other matters of the heart of another. 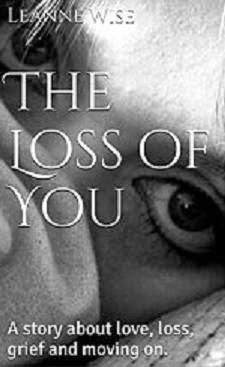 Newly launched upcoming author Leanne Wise has recently published ‘The Loss of You’. Wise’s novel is about one woman's journey through losing someone she loves and how she comes to terms with her new life. It is a very moving, tear-jerker of a read. Wanting to explore the novel’s foundations behind her imaginative and imaginary storyline of this women’s emotional journey, myself opted some questions to the young author about this new writing project. When I was younger I always loved to read and as I grew older I read more and more. Once I got to high school I had my nose stuck in a book pretty much every second that I wasn't in the lesson. Then a friend of mine and I decided to start writing our own book. It was just a bit of fun, making the characters based on ourselves and our friends or foes, changing the names apart from our first initial and from then on I wrote. I wrote poetry and short stories and then a couple of years ago I started doing NaNoWriMo as well, this was the first time I ever attempted to write something longer than a few thousand words and all by myself. Since then I've just written for the fun of it. How did the idea of the book come about? The idea for the book actually didn't come about until I was halfway through it. I wrote a novel a couple of years ago and have been putting off editing it just because I prefer writing than going back and editing. I felt as if I had writer's block and so I just opened up a word document and started typing anything that came into my head. I also knew that writing descriptions of places was one of my weak points so I started with that and it went from there. The book is about relationships, loss of a partner and moving on.What inspired you to create the characters and their scenarios? I think heartache and pain are sometimes some of the easiest things to write about and everyone can relate to it. We've all lost someone, whether it's through them passing away or through a breakup and I've experienced both along with many others. Like I said, the idea for the story didn't come around until about halfway through it, before that I was just typing but naturally it was something I went towards for the rest of the story because being able to bring out that deep emotion in myself and others is something I love about the written word, it can make you feel things just by reading words on a page or on a screen. Finally what other writing projects are you wanting to explore? At the moment I'm still trying to edit my novel. I wanted to get a short story out there so that people could get used to me as a writer, find out who I was and hopefully be excited for what I bring out next. Whether that will happen or not I don't know, I'm just enjoying having the people close to me enjoy the book and if it gets further than that then great. My novel is something I want to finish next and then I can move on to the other three novels I've started and not finished. For now, I think I'll let this one have its moment then move on to the next. Throughout reading the novel written by Wise it allows you to relate to the levels the women face in her journey to move on and go forth in life. At the same time throughout the book I discovered (I think that other people who have read the book and you my readers will agree) is that you never forget the ones you've loved and who have passed away. The memories of being together, dining with each other and laughing over drinks, spending time together to the way he looks at you. The little things (e.g. scent to appearance stays with you even the odd train ticket and photo). It allows memories and the piece of them to stay with you. Wise’s novel really reflects that connection of being able to relate to the words and the characters emotions to their journeys whilst, they are captured in the moments of love and loss. As Wise said in reply ‘Everyone can relate to it’ this what makes it comforting, for you as a reader since you may have experienced some of these stages and emotions regarding love. That understanding allows that confidence within to create the thought I can move on. ‘Let us that are in pain look upon it. In all its glory’ – Dido Armstrong. Metaphorically speaking from Wise’s novel and the phrase I've borrowed from music artist Dido is that we can all slowly yet, correctly move on in our ways yet at the same time the memories of what love brings will still be there. Yet love opens up a journey for ourselves to explore mentally, physically, and emotionally. ‘The Loss of You’ by Leanne Wise can be purchased here.